Sheldon Baker speaking at the Nutra India Summit in Mumbai, India. Sheldon Baker, senior vice president of Baker Dillon Group, speaking at the 6th Nutra India Summit in Mumbai, India, on Wednesday, February 16, recommended to corporate representatives wanting to import retail products to the U.S. nutraceutical marketplace to establish broker and distribution networks by working with a U.S.-based sales management firm who will represent their business interests in a cost-effective and professional manner. Baker told event attendees that a sales management firm’s services can include selecting and managing retail brokers and distributors, assistance with creating a business plan to select the right promotional venues, development of a sales plan that allows the broker network to achieve sales goals, and direction for design of promotional elements such as advertising, public relations and in-store sales materials and programs necessary to become part of the U.S. nutraceutical business culture to gain product placement on the retail shelf.  The four-day Nutra India Summit was held at the Hotel Vivanta and World Trade Centre February 15-18. The nutraceutical summit is considered India's flagship event for the nutraceutical, functional foods, supplement, and health food industries. Baker also discussed the need for companies that say they want to be a supplement leader to take the necessary and strategic steps to position themselves correctly with the proper look and feel in order to move to the North American forefront. “You’re here in India, so you need someone on the ground in the U.S. that is looking after your business interests,” Baker said. “There are viable opportunities to sell ingredients and retail products in the U.S., but you should be willing to work with knowledgeable and reputable nutraceutical industry consultants to help ensure your business success,” Baker noted. were made by Jagdish Patankar, managing director of MM Activ. Baker, with 20 years of nutraceutical brand marketing and media experience and responsible for creating and launching supplement ingredients and retail products including CitriMax for InterHealth, as well as several other well-known supplement ingredient and retail product brands including Ostivone, Cognizin and Versana, focused on the importance of brand marketing and North American cultural differences. appreciation plaque to Sheldon Baker. For more information contact Baker Dillon Group at 559.325.7191. The website is http://www.bakerdillon.com/.